Our Ajay Suman Shukla, Team Leader LEAD and Ek Soch Sandbox featured in the very popular talk show in the world – ‘The TEDx Talk‘. In his talk under 18 minutes, Ajay successfully captured the attention of the audience through his soulful talk, which described his transformation through Deshpande Fellowship Program. In his honest and straight from the heart talk, Ajay humorously explained his journey that led him towards creating a whole new innovative platform for youngsters. In this insightful talk, he shared the very definition of change and role of youngsters in the society and importance of an idea and passion for every individual in the society. 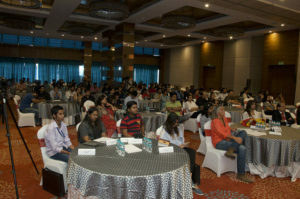 The audiences were spellbound hearing the impacts created by the LEADers with their innovative social ideas across Sandbox Region in India at the talk show. 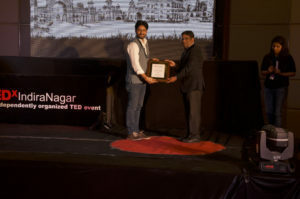 TEDxIndiraNagar was a first independent regional TEDx talk independently organized in the Lucknow city in which Ajay was chosen as influence speaker. “The LEAD began as a regional platform for youth but now it has spread extensively to the national level as a youth movement. I sincerely thank Deshpande Foundation for shaping my early professional career and giving me this amazing platform. Naveen Jha lent a hand throughout my journey from “2009 – 2018”, was the emotion note of Ajay during the TEDx talk.